Due to the school cancellations the last two days, the coaches are extending the deadline to complete Lightweight Certifications to Wednesday, February 13. This will offer 5 more opportunities to meet with Mercy’s school trainer after school during her open hours on either a Monday, Wednesday or Friday from 3:00-5:00 pm, just in case any additional weather events should occur. Please see below for further information and the link to print out the required HIPAA form. 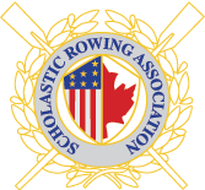 The Scholastic Rowing Association of America (SRAA), which hosts Scholastic Nationals, requires all Lightweights to be certified in order to compete at Nationals in the Lightweight Category. To participate in the Lightweight Category, rowers must be healthy and ready to compete while weighing 130 pounds or less on race day and participate in the weigh in process at the regatta. In order to ensure a rower can compete in a healthy manner at this weight all rowers who are interested in rowing as a lightweight must visit the school Athletic Trainer, Sarah Jakubek. Her new office is in the middle school gym. Coxins do not weigh in, but should consider completing the process to have the option to row as a lightweight rower. Please Note: You DO NOT need to currently weigh 130 lbs or less to complete this certification process. This just assesses if your body could row safely at that weight in the upcoming spring season. Print and complete the attached HIPAA Form with parent signature and bring to the school trainer visit. Visit the trainer, after school, during open hours. Mon, Wed, or Fri 3:00-5:00 pm. Make sure you are hydrated. Drink water throughout the day before the test. You cannot be tested if you are not hydrated! Your hydration level, height and weight will be tested, the trainer will assess and submit the information and let you know if you qualify to participate as a lightweight rower.